Maybe I do remember them 'most of all'. 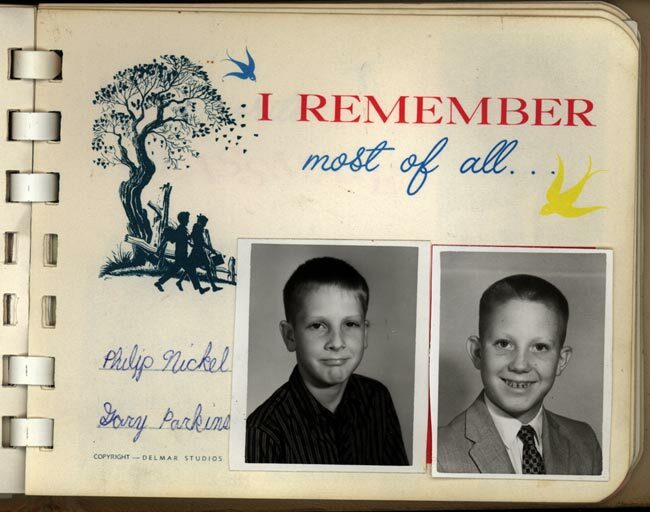 Philip Nickel was a great kid who had trouble adjusting. Most likely he was overindulged in his home life. I remember that his family had an in-ground swimming pool, rare for most families in Roanoke, which we went to several times with my parents. Gary Parkinson always played backyard baseball with David Abby, Brad Alstadt and myself. Gary was regarded as the toughest kid in the neighborhood until one of our infamous baseball arguments ensued. Gary started beating on David Abby but was resoundly beaten to a pulp and left bloody and crying.